Ladies, if you’ve seen a lot of extra hair on your floor, your pillow, in your brush, or even in the shower drain and you’ve noticed an odd little bald spot in the mirror you might be suffering from Alopecia, hair loss, or just thinning hair. So many women suffer in silence from Alopecia and hair loss and clearly don’t know what to do, and what options are there to help build your confidence back and treat the issue. Let’s find out about Alopecia and what it is; Alopecia is an Autoimmune Disease that attacks your immune system from within your own body. This causes hair to come out in clumps in the size and shape of a quarter. The hair loss differs from person to person and is different in everyone. Alopecia can’t be cured. But your hair follicles can be treated, and hair can grow back. This is Good News to many people who suffer in silence! There are several treatments for Alopecia and Thinning hair that can be used like anti-inflammatory drugs that can be given to you to rub on the skin or given orally also in a pill form. One of the most important steps is to always check with your doctor first because there can be other reasons for hair loss or thinning hair. Here are a few things that can be caused by hair loss the number one things is stress or hormonal changes like menopause or even pregnancy. Most of these might not need any treatment at all. Some losses will stop on its own after the body adjusts to different changes. Any medical conditions that lead to hair loss should be treated directly to address the full condition, not just it’s symptoms. While you are also treating the condition DO NOT use alcohol-based products on your hair as it can irritate the scalp during treatment. Ladies, this does not mean it’s the end of the world and you have to carry any embarrassment. There are all kinds of great options to cover your hair loss apart from drug treatments. Wearing a wig is a great option when you have Alopecia and hair loss. It brings confidence and vitality back to who you are. Indique will always have you in mind when we create our units with time and care. Indique Wigs will help you achieve the most natural look and will enhance your own beauty, it also feels just like your own hair. You will be able to style your Indique Wig like your own natural hair, and you can change your look as often as you want. How awesome, right? Indique carries a few different types of Wigs, they are listed below. *Indique's PURE Curly Lace Front Wig offers complete coverage with endless styling options. Our lace front wigs combine a freestyle parting ventilated area with reinforced wefts and a sturdy flexible base. The PURE Curly Lace Front Wig is a medium size cap with adjustable straps which fits most. 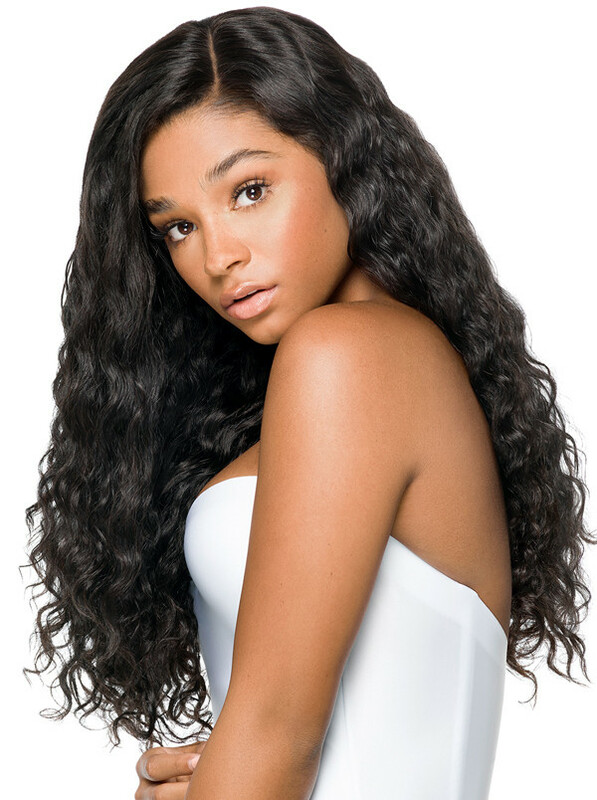 Offered in 18" in length, the PURE Curly Lace Front Wig is the perfect protective style. Whether you prefer to sport a glorious crown of natural ringlets or something sleek and chic, this texture can be extremely versatile. *Indique's PURE Wavy Lace Front Wig offers complete coverage with endless styling options. Our lace front wigs combine a freestyle parting ventilated area with reinforced wefts and a sturdy flexible base. The PURE Wavy Lace Front Wig is a medium size cap with adjustable straps which fits most. Offered in 18" in length. *This Hair Care Product, below will soothe the scalp while wearing our wigs as you are going through treatments or your scalp feels any irritation. This Product is Amazing and it will give your scalp a cool sensation.